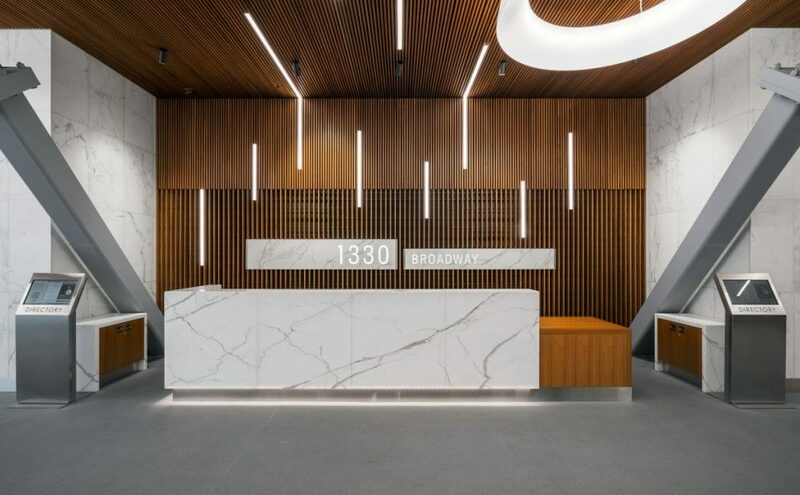 Steel, wood and stone came together at 1330 Broadway when Elements Manufacturing and Hillhouse Construction created this stately security/reception desk and wood lobby accents. The project included several floors of teak-paneled elevator lobbies and wall shim-outs to prep for wall systems. Click here to see the security desk build.